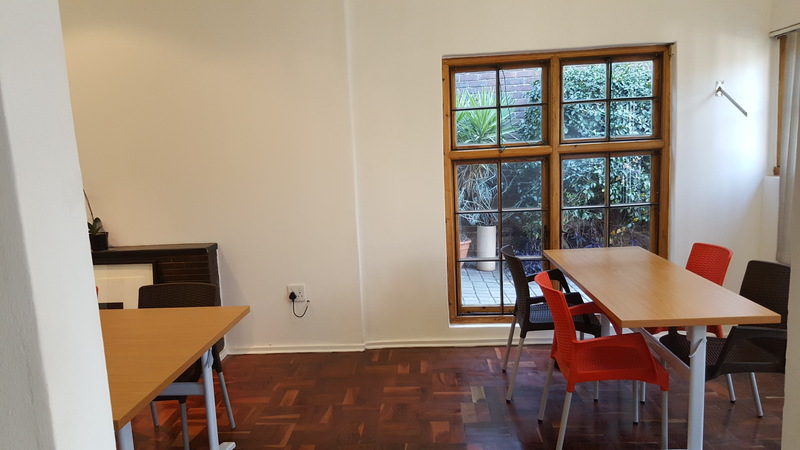 Introducing the Mzansipreneur Reading Room, in the heart of Norwood, a calm space for work and reflection…This is a space where entrepreneurs, creatives, dreamers can read, work, write, share ideas or just be. 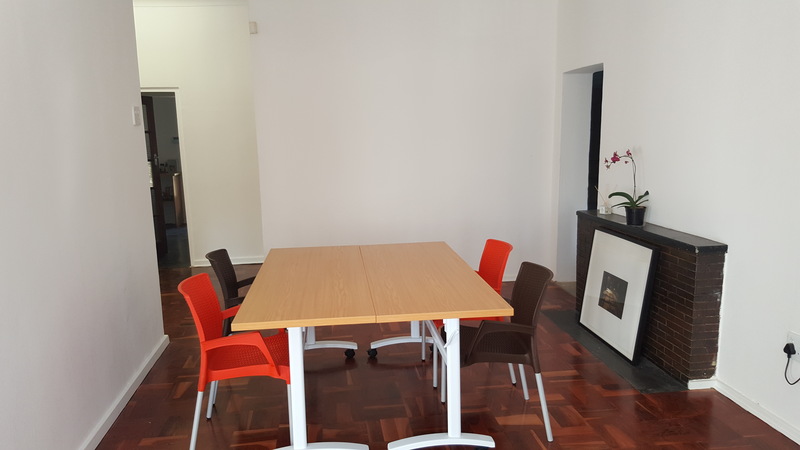 We offer hot-desks that you can use for a couple of hours to work and enjoy coffee and food ordered from one of the many restaurants in Grant Avenue. There’s great wifi but this is not a business services centre. 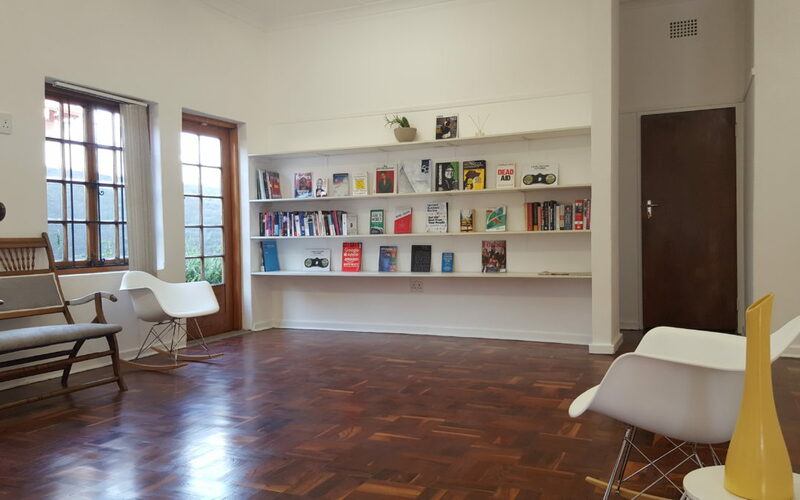 This is like your old school library where you can punctuate work with browsing our evolving collection of books and magazines on business, creativity, leadership and entrepreneurship that showcases diverse authors and ideas. 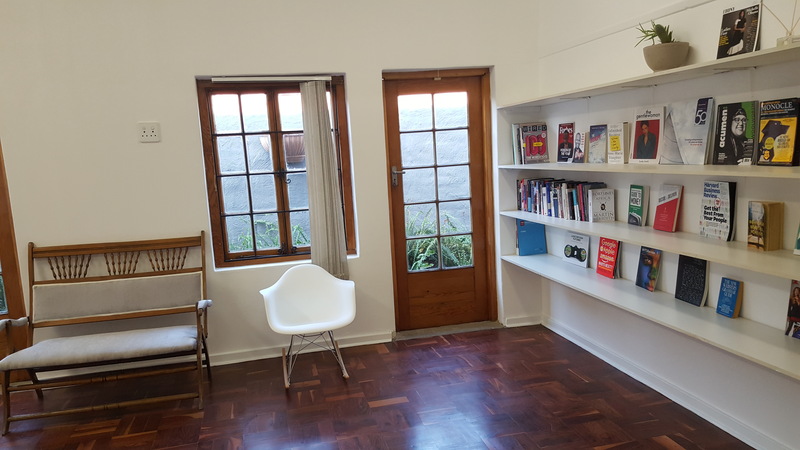 Here you will find stories of local entrepreneurs like Miles Kubheka alongside a polemic on work/family balance by Anne-Marie Slaughter next to a back issue of the Gentlewoman. To become a member of the Mzansipreneur Reading Room, drop us a line at mzansipreneur@gmail.com or makhayaadvisory@gmail.com.